We were the first to use PRP injections cosmetically to increase collagen production, reduce pores and tighten the skin. However, when Dr Pitsilis researched it further, she found that it has been used for many years to help in orthopedics, plastic surgery and dentistry. 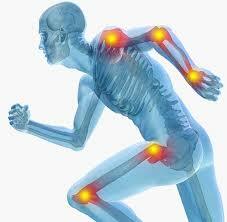 We also use PRP injections in the clinic for large joint arthritis and joint and tissue repair. Some PRP injections are performed by Dr Pitsilis who works with an Ultrasonographer to enable accurate placement under ultrasound control. PRP stands for Platelet Rich Plasma. This is the plasma section of the blood that is composed mainly of your own platelets. After obtaining a sample of blood from you, it is centrifuged or spun so that the individual components are separated, leaving the remaining fluid or plasma rich in platelets. What is significant about Platelet Rich Plasma (PRP)? Platelets are the cells in our blood that help in the healing process. When we injure a part of the body, the platelets automatically migrate to the site of injury, initiating a healing response by releasing numerous growth factors and other proteins which promote healing. The Platelet Rich Plasma treatment (PRP injections) delivers a significant number of platelets into an injured site. It enhances the body's natural healing capacity, leading to a more efficient and thorough restoration of the tissue to a healthy state. Responses to PRP injections are individual and depend on the severity of the problem and well as the general health of the individual and the health of the tissues. Who should not have Platelet Rich Plasma treatment? What does the Platelet Rich Plasma treatment entail? Blood is taken from you and placed in centrifuge to separate plasma rich with platelets.